2. Does a metal roof cost more to install? 3. Should I worry about my metal roof being heavier than shingles? 4. Is a metal roof noisier than asphalt shingles? 5. Is a metal roof more hot in the summer than asphalt shingles? 6. Is a metal roof fireproof? 7. 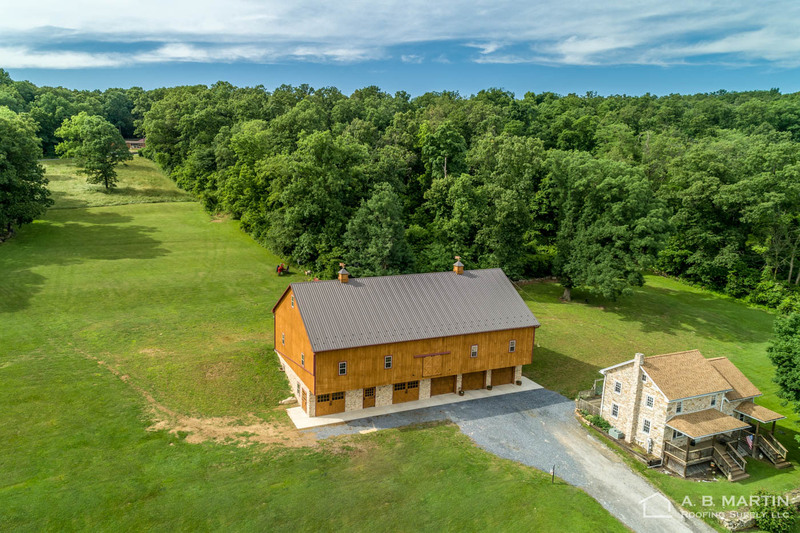 Is a metal roof just for agricultural buildings and not for residential? NOTE: The original post has been updated with current pricing. Is A Metal Roof Way More Expensive Than Asphalt Shingles? Actually, no. Corrugated metal panels (like our ABM Panel) often cost as much as 20% less per square than asphalt shingles. Before you get too excited though, remember that a metal roof requires more accessories like screws, flashing, and ridge caps. 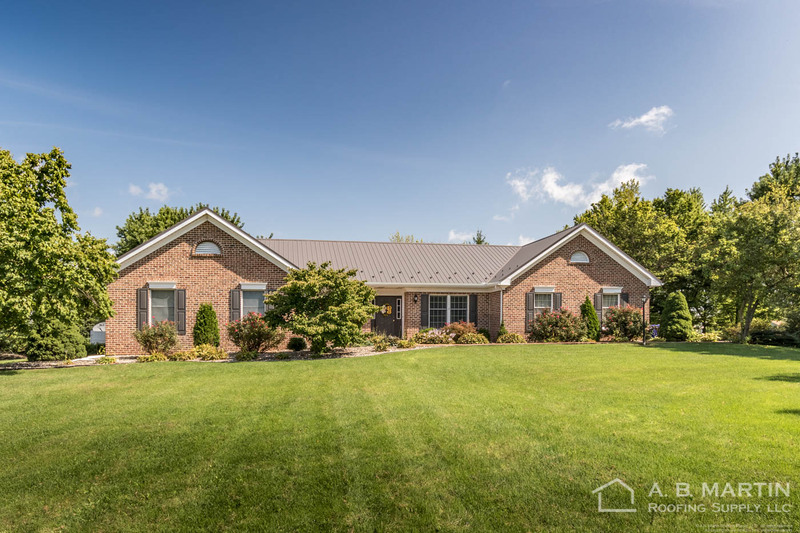 With the accessories included, a metal roof can cost about the same as, or within a few hundred dollars of, a shingle roof on an average home. And considering that our premium and standard metal panels come with 40-year paint warranties (with many metal roofs even lasting over 100 years with proper maintenance), the savings over time makes metal a smarter choice. Both metal and asphalt roofing get the job done when it comes to sheltering a building, but they really part ways in respect to durability, energy efficiency, and long-term savings. Let’s look at a 30′ x 30′ garage for an example. But before we go any further, let’s just clarify that the example and prices are not meant to be an official quote. The numbers in our example are for informational purposes only but are accurate to the best of our knowledge. Every roof project is different. Rest assured we have a dedicated and knowledgeable team that would be happy to get you a custom quote. Compare that to our ABM Panel that comes with 40-year paint warranty. There is no question that a metal roof can stand the test of time better than asphalt shingles in most situations, and contractors will tell you that there is very little keeping a properly maintained metal roof from lasting over 100 years (especially if it is a hidden fastener panel like our ABSeam Panel). Metal lasts longer, is more energy efficient, is more beautiful, and can cost about the same as asphalt shingles. Let’s take a closer look at the cost. Both estimates include tax, but do not include labor. A.B. Martin does not offer installation, but we have compiled a list of recommended contractors which you can search through here: https://www.abmartin.net/contacts/find-contractor. An additional cost you may incur that is not reflected in the quote would be the removing and disposing of old shingles if replacing them with more asphalt shingles. Since metal can be installed on top of an asphalt shingle roof (see local building codes for possible weight limitations), you’ll save labor and disposing costs, but keep in mind you will have to buy and install wood purlins (we recommend 1×4 pine spaced 2′ on center) to provide an even base for the metal panels. So the cost might still be a wash. 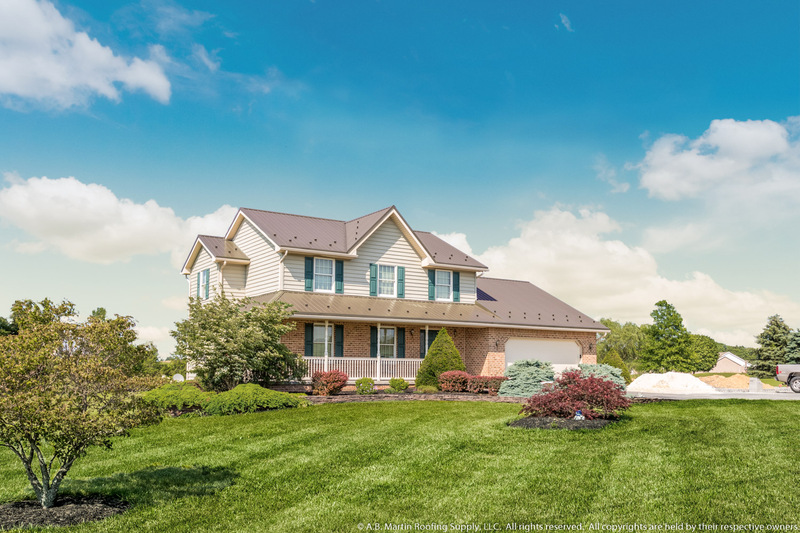 If the project is new construction, such as an addition or new garage, metal is a big winner because an asphalt shingle roof would require a plywood base. Also, the cost will be affected by the complexity of the roof. If it is a simple roof with few or no valleys, metal panels may be significantly cheaper and faster to install than asphalt shingles (including labor). But if the roof is more complex with several valleys and peaks, though the material costs might still be about the same, asphalt shingles are going to install faster and cost less in labor than metal panels. 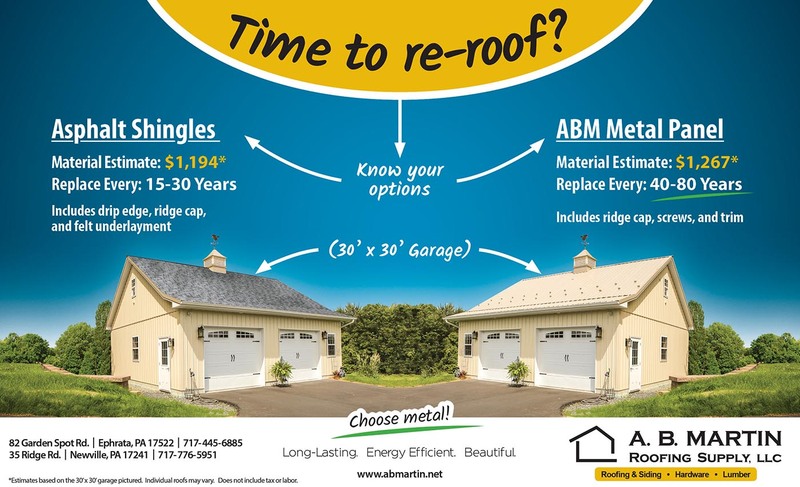 That said, it is still hard to beat the longterm savings of a metal roof. 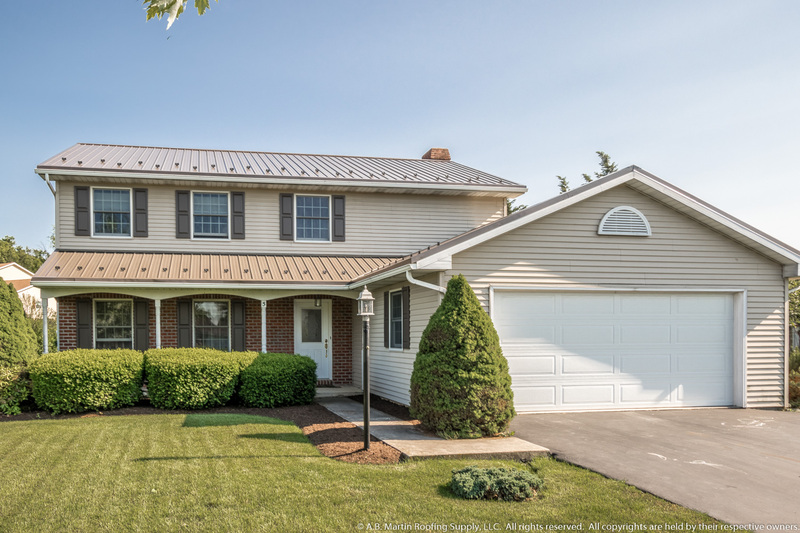 Before 2018, metal roofing colors that met the Energy Star minimum approved solar reflectance index (SRI) rating of 25 – meaning that at least 25% of the sun’s energy was reflected back into the atmosphere – qualified for a special energy-efficiency tax credit. The credit was 10% of the cost of materials installed on your primary residence and up to $500. As you can see from the documented SRI values of our ABM Panel and Commercial Panels, ABSeam Panel, and Textured Panel colors, most of our panel colors met and exceeded the Energy Star minimum requirement. Unfortunately, the metal roof tax credit was not renewed in 2018. But that doesn’t change the fact that you can still enjoy the benefits of an energy-efficient metal roof. Choose metal. Long-Lasting. Energy Efficient. Beautiful. Disclaimer: Obviously A.B. Martin believes in the benefits of using metal roofing, or we wouldn’t be manufacturing it. But we do sell asphalt shingles too. These articles attempt to make a fair comparison between asphalt shingles and metal roofing. If you decide asphalt shingles are better for your needs, we stock Tamko’s 30-year Heritage Shingles that have the best warranty on the market. What is the Building Showcase? Is a metal roof way more noisy than shingles? Infographic: Is a metal roof heavier than shingles? Does a Metal Roof Cost More to Install? Will Metal or Shingles Cost Me the Most? We have a professional and friendly sales team that is here to help you.